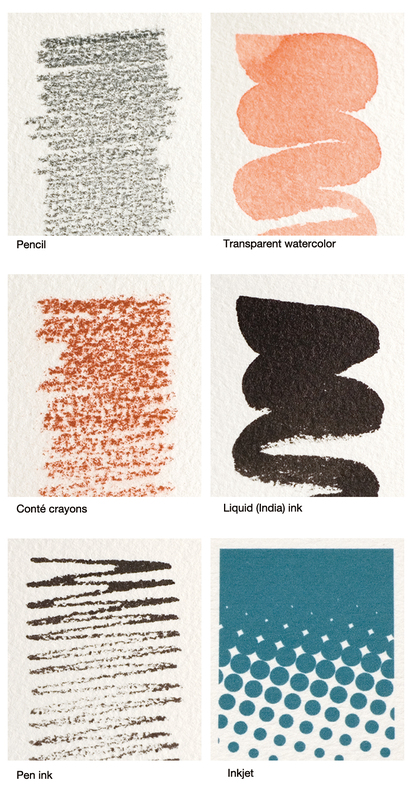 Arches watercolor paper is a product of the French company, Arjo Wiggins, made from 100% cotton pulp via a semi-mechanical process that is relatively similar to that of handmade paper. It is suited for use with water-based coloring materials such as transparent watercolor, gouache, acrylic paint and ink, and is used widely around the world. 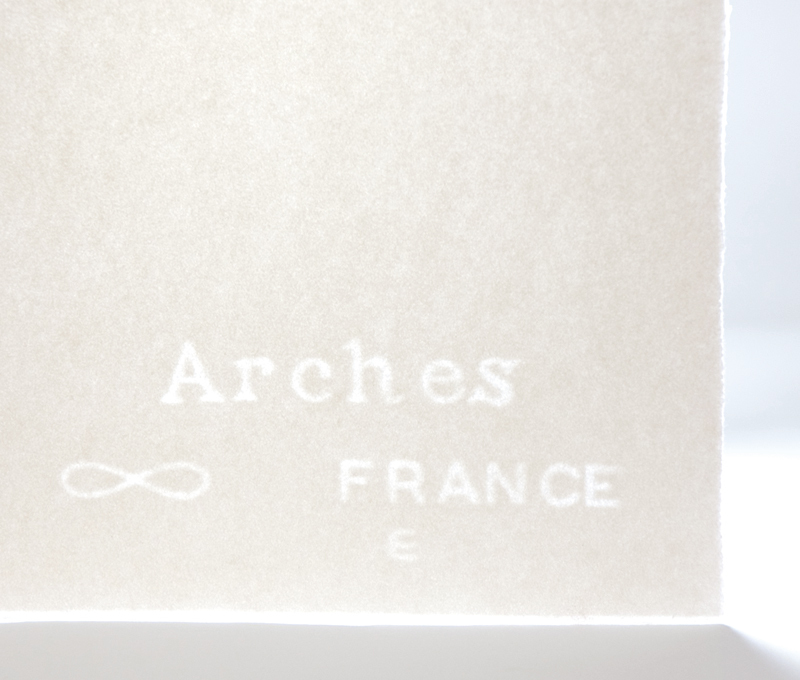 Arches paper had its beginning in 1492 at the Arches paper mill in the Lorraine region of France and has been produced ever since for more than 500 years. 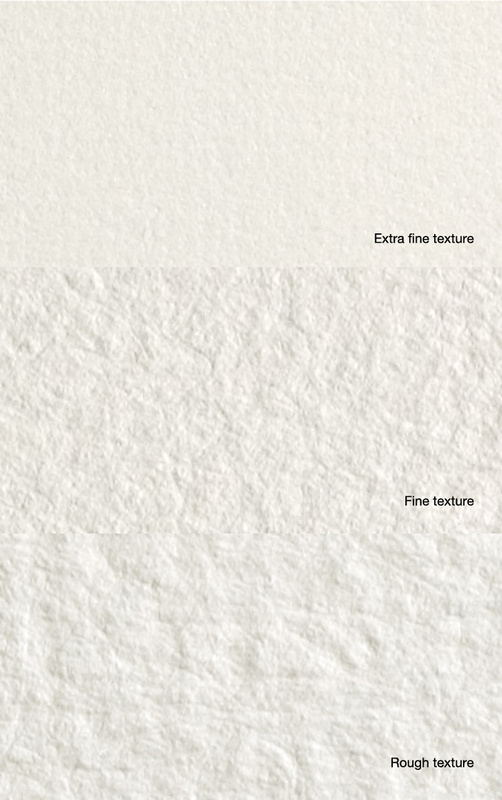 The color of the paper is natural white and it comes in three differing surface textures: coarse (torchon), fine (fin) and extra fine (satine). There are also five levels of thickness with a basis weight (mass of 1 sheet of paper per square meter) of 185g, 300g, 356g, 640g and 850g. It is commonly sold in sheets but rolls (113cm × 915cm), pads (glued on one side) and blocks (glued on all four sides and separated after use by running a paper knife under the top sheet) are also available. To enhance the preservative properties of the paper, it is treated with anti-mold agents and is sized to the core with a gelatin glue solution to make it durable and improve the spread and color development of paint. 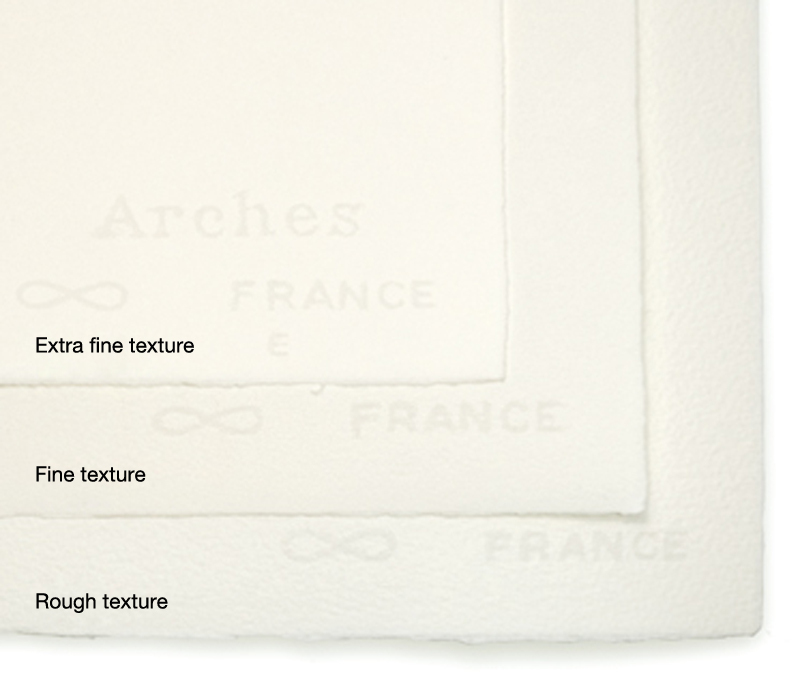 The paper is watermarked or embossed on the lower edge with the characters “ARCHES” (the side where this can be read normally is the front) and an infinity sign (∞) which symbolizes the paper’s high preservative properties. Arches watercolor paper can be purchased at art supply stores.